The first complete digital marketplace for private aviation. 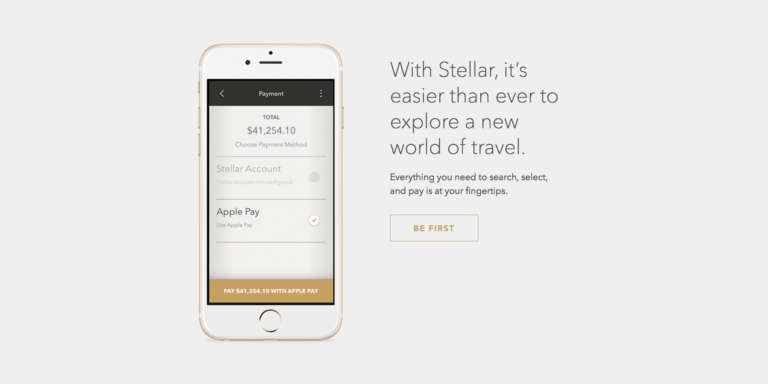 Stellar is the first fully digital experience that allows you to book private jets in minutes, making thousands of flights instantly available to anyone with an iPhone. Stellar Labs, a startup in stealth mode, was introduced to the world yesterday evening at the annual National Business Aviation Association (NBAA) conference in Las Vegas. Our team created their messaging platform, crafted their brand identity standards, then designed and developed their consumer facing website to coordinate with their launch announcement. We look forward to continuing our work with Stellar to help bring their vision to life and extend a sincere thank you to our partners at Method for their work developing the accompanying mobile application. Up Next Introducing Nextbit’s Robin: Live on Kickstarter.